If I had to choose one cookie to eat for the rest of forever, it would be Oreo cookies. So if I went to a wedding where the guests were sent home with cute packages of personalized wedding Oreo cookies that would be my favorite wedding of all time. These sweet treats are the perfect gift for your guests – whether you’re packaging them for a “welcome” bag or if you’re sending them home at the end of the night, no one can resist an Oreo (or 5). 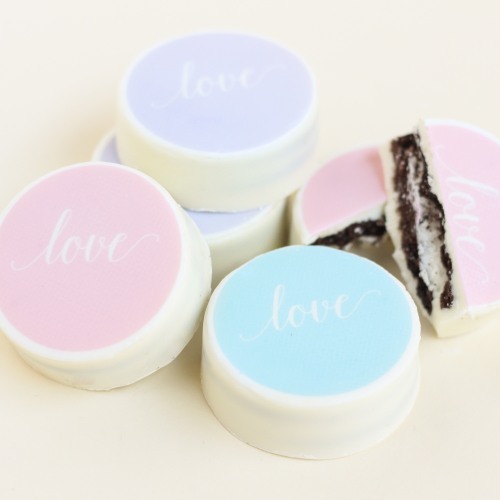 And these Oreo cookies are made even more delicious because they’re dipped in white chocolate and they can be personalized to fit your wedding theme. You’ll find this sweet treat here.